Head lice are small, wingless biting insects which live and breed in human hair. Outbreaks of lice are common in children in schools everywhere. 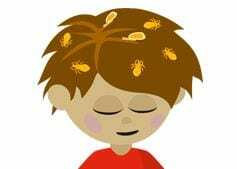 We have had a number of cases of head lice at UPS already this year. When a case, or outbreak, occurs a note is sent to families of the class/es to let them know. It’s important that when a note is received, all families check children’s hair to see if lice are present. Many infestations cause no symptoms and probably less than half cause itching. The SA Health website www.sahealth.sa.gov.au has lots of useful information about head lice, including a range of treatments, both non-chemical and chemical. Below are links to two useful fact sheets that may help you with the treatment of head lice.